Why can’t my student sign up for an account? If a student fills out the Student Registration form and receives an error message indicating that ‘their OEN is already registered’, it is most likely that the student already has an existing account. Sometimes, a student selects the Submit button multiple times, and although the account is registered, the error message appears on multiple attempts to sign up. Please have the student try to log in right away or reset their password by following the instructions here; this will send students their username via email as well. Note, teachers have access to student usernames and can reset passwords via the Access page as well. If a student is not listed on the Access page, the student may have signed up under the wrong school. Here is our FAQ on possible reasons why a teacher is unable to view a student. 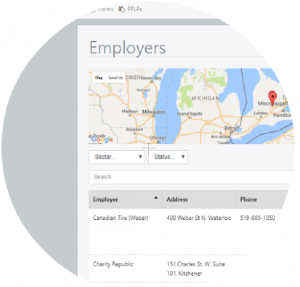 If a student is attempting to login through D2L and receives an error message with an ID and eLO, send this to us at info[at]charityrepublic.com and we will fix it. Students whose names have been changed in D2L may also experience login issues and so email us if this is the case. Students must log in through the same portal where they signed up, either directly via Hour Republic, or Desire2Learn (D2L)(i.e. if they signed up directly on Hour Republic, they will not be able to sign in through D2L). Authorization is normally automatic. If the student signs up via Desire2Learn, they gain access to Hour Republic right away; when accessing Hour Republic directly, their OEN must match our records. 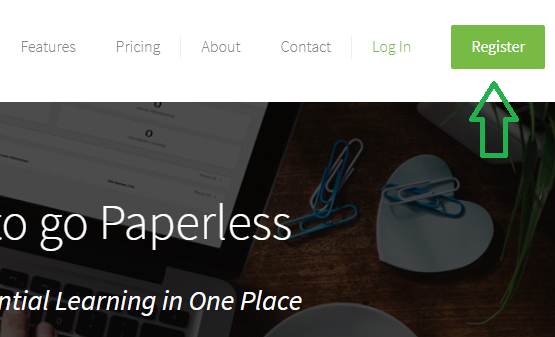 Otherwise, it may take up to 24 hours, but we normally provide manual access on the same day. Please contact us at info [at] charityrepublic.com if this is not the case. How do teachers sign up for an account? Note: It will take up to 24 hours to review your sign up form and provide you with access to Hour Republic. We take security seriously and teacher account sign ups take time to review. 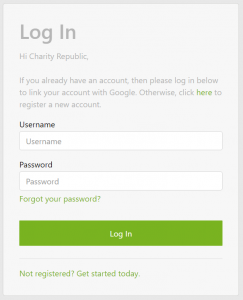 NEW: Streamline your login experience by creating your Hour Republic account through Google! Click here for details on how to register via Google. How do students sign up for an account? TIP: Use the same username as your school computer or the same username as another school software program. If a username is already taken, try adding in numbers. TIP: If this number matches our records, then you will be logged in right away. If not, please contact your teacher to inquire. Your teacher or school board provides this number to us before you sign up. NOTE: This is how Hour Republic calculates a student’s Grade. Note: You will be logged in right away if your Student ID matches our records. If not, please contact your teacher to inquire. 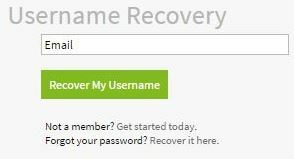 How do I reset my password and/or recover my username? Students are able to send a temporary password to themselves by clicking Forgot your password? on the log in page. Enter the temporary password as your Current Password, and enter a new password. 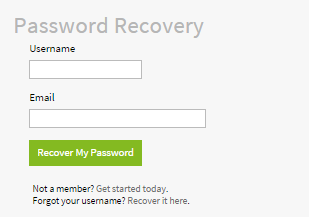 Students are able to recover their username by clicking Forgot your password? on the log in page.